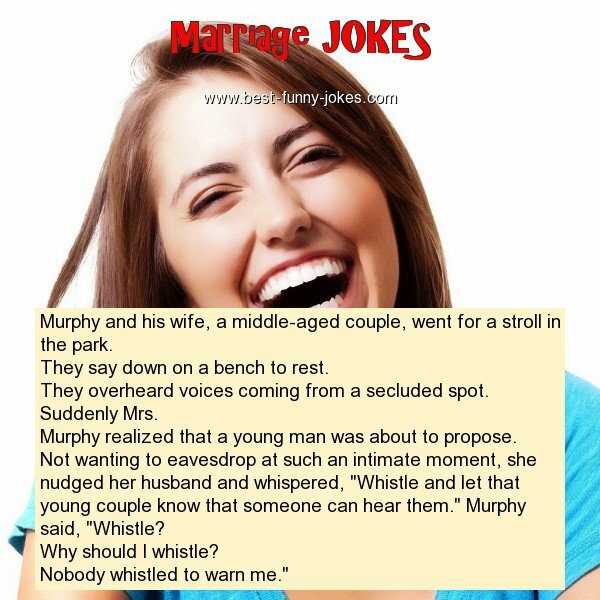 Murphy and his wife, a middle-aged couple, went for a stroll in the park. They say down on a bench to rest. They overheard voices coming from a secluded spot. Murphy realized that a young man was about to propose. Not wanting to eavesdrop at such an intimate moment, she nudged her husband and whispered, "Whistle and let that young couple know that someone can hear them." Murphy said, "Whistle? Nobody whistled to warn me."